I am very excited about Today’s Blog as I am reviewing beauty products after a long time in my Blog and I am happy its about these amazing products. 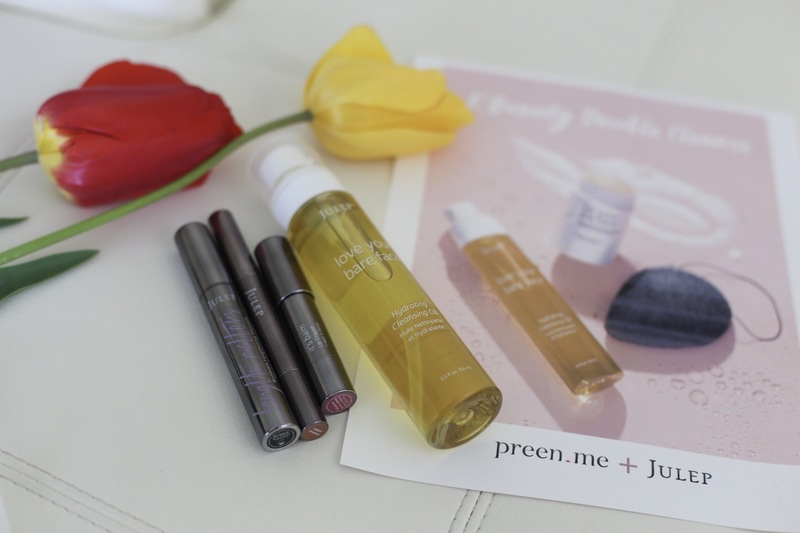 I have collaborated with Preen.me +Julep and received these amazing products to review them. As soon I received the parcel , I am so surprised and excited to see that I received cleansing products and makeup remover as I always keep trying different cleansers to find out what suits best for my skin and my skin routine. 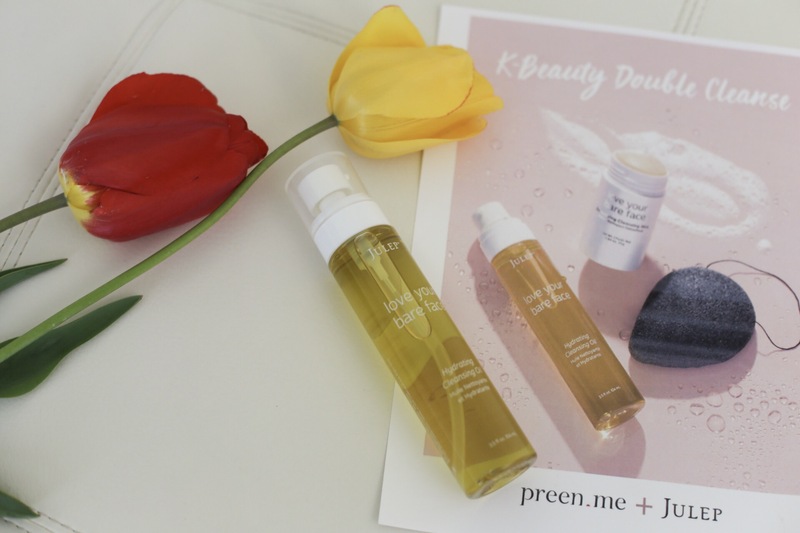 JULEP cleansing oil – I have never using cleansing oil before , was so excited to use it. Amazed to see the results after using it. Apply the oil on your face and rub in circular motion, as this oil dissolves the makeup making it sooper easy to wash off . After using this cleansing oil , my skin felt so much better. JULEP Love your bare face Detoxifying stick – Use this stick on a wet bare face and rub using JULEP Charcoal Konjac Sponge , scrub to exfoliate and thoroughly clean your face. Pat dry with a clean dry towel and watch the difference. Eyeshadow Stick – I have received an goldish eyeshadow stick , it is sooper easy to apply on as it is a stick. When you are going for a party and running late , I am sure most of our girls apply lipstick and eyeshadow in car or trains , this helps to apply effortlessly and get beautiful in seconds. As it also has a smudger tool at the other end to blend the creme over the lids to smoothen any harsh edges. JULEP Length Matters Buildable Lenghtening Mascara – Apply your favorite eyeliner followed by this Mascara !! It gives good length and volume to the eye lashes . Loved this product absolutely. JULEP It’s Balm Full Coverage Lip Crayon – You can apply this on bare Lips , it gives pretty good coverage , color on the lips and keeps the lips moisturized. This has become my goto Lip crayon to work.